Every day, billions of Internet users surf the web primarily through the use of search engines, such as Google, Yahoo and Bing. Many of these searches will relate to the content of your website, so it is crucial to know how you can increase its visibility on the World Wide Web and achieve the highest levels of distinction and success. As specialists in the art and science of Search Engine Optimization (SEO), we can help you increase your visibility on the web. The process to access your site on the first pages of any search engine is known as referencing. SEO is the most profitable form of marketing because it allows you to substantially increase the number of visitors to your website without paying for advertising. SEO requires a thorough evaluation and a continuous update of how the algorithms of search engines work. 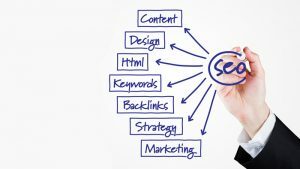 At CyTechnology, our Web specialists have long been involved in SEO and so our techniques are constantly evolving to meet the needs of our customers. In the uncertain world of SEO, our approach has always produced results. As we apply our SEO process to your website, to help you achieve peaking levels of success, we remain very optimistic about the end result of your project. For a quote referencing for your website, feel free to Contact us. This service may be combined with our Internet Marketing service in order to promote your website/company and achieve maximum search engine results! One very important part of our SEO service is to help you identify the keywords of your industry to better target your marketing campaigns online. A choice of smart keywords is essential to reach the target audience. We will expand your list of keywords to include new phrases and expressions relevant to your business. We conduct an in-depth study of the competitive market to seek out the chosen keywords. Often, you will find a large number of companies competing for the position of your keywords. This takes the form of a SWOT analysis – a very significant step towards identifying and analysing the main strengths and weaknesses of the market which you are targeting, and turning them into opportunities for your business. Our detailed analysis reports allow us to do so! A blog on a website is one of the best ways to give search engines the content they desire to top their web links directory! A constantly updated website is exactly what they need to interpret your business as important and top of the range, with a well-deserved reason to remain on top of their links. Whether you need help setting up your blog, updating it or with some simple technical advice, we have the experience to help increase its visibility. Through the analysis reports of your website, we can determine which keywords and search engines are the best providers of traffic to your site, thus target which of these keywords can help you attract new customers. This data helps us understand what works on your site in order to make the necessary adjustments to optimise your marketing campaigns. A very important factor in how your site appears in search results is the number and quality of links pointing to your site. We use various methods to improve your ranking in search engines. Too often, those responsible for the creation of your website only care about the aesthetics of it rather than the ways in which you can expand your visibility. So, come to us with your needs and desires and we will have the ideal solution for you! CyTechnology promises to offer the best Internet marketing techniques available for your website. Contact us to find out more on how you can start promoting your website/company through our Search Engine Optimization (SEO) services. See also our Web Design and Social Media services to read more about how you can further promote your business online.